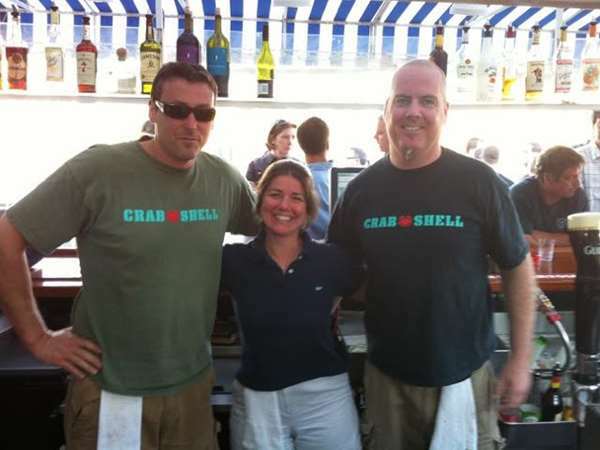 One of our favorite things about Crab Shell is our outdoor dockside bar and patio, aptly named "Crab Shack". We open the Shack in March when the weather warms and keep it open as long as we can - typically into late October! At the Crab Shack, we serve from our Crab Shell Lunch menu during the day, and our Crab Shack menu at night. The best local rock and dance bands play Thursday through Sunday nights, making the Shack the place to see and be seen. How about a private party on the boardwalk? Crab Shack is the perfect setting for your event. We can assist you in corporate meetings, cocktail parties, incentive promotions, birthdays, just to name a few. Live Music at The Crab Shack all summer long !